Experienced myotherapists at Geelong Natural Therapies use the dry needling technique to stimulate or deactivate myofascial trigger points within the body. By inserting ultra-fine needles into various muscular trigger points, our myotherapists use dry needling to desensitise or deactivate areas that are causing pain by relaxing the muscles, which provides the patient with relief from chronic and referred pain, as well pain resulting from surgical procedures or injury. Alternatively, dry needling can also be used to promote healing and the release of endorphins via the stimulation of trigger points within the body. 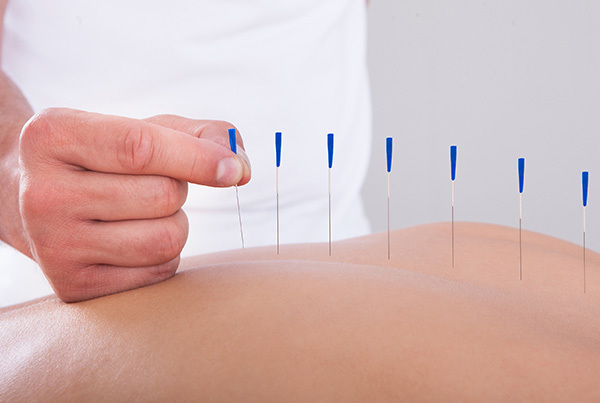 Our Geelong myotherapists use dry needling as part of an overall therapeutic approach which can also include massage therapies such as myotherapy in Geelong, Bowen therapy, the Emmett technique and lymphatic drainage. Does dry needling hurt? Most patients don’t even realise the needles have been inserted, while a few report feeling muscular contraction. Dry needling is often used to treat back pain, headaches and migraines, joint pain, osteoarthritis, tendonitis, chronic pain and post-surgery pain.